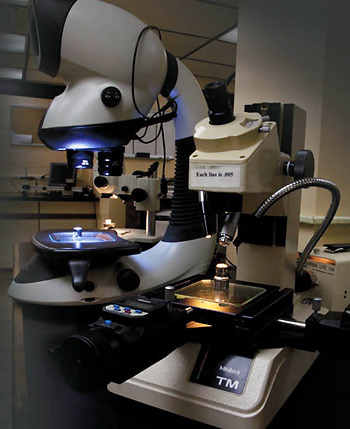 At ITW Highland, high precision is achieved through rigorous quality standards and procedures. The plant conforms with ISO 14001, ISO 9001 and 9002, plus TS 16949 to the latest editions. We employ lean manufacturing to Six-sigma standards, for zero-defect parts. Our preventive maintenance procedures facilitate zero downtime. Precise testing procedures and 100% inspection permit us to deliver defect-free products: Eddy current testing detects inclusions, cracks and other material defects, while vision inspection is performed for feature detection, including holes, slots and intentional part characteristics. Our goal is to ensure that every part is manufactured and delivered to your specifications.